Mr Z.R.F. KIRKUP: Before I begin I would like to thank all those who have joined me in the gallery this evening. What the Liberal Party lacks in numbers on this side of the house I have tried to make up for in the gallery, so thank you everybody! Mrs L.M. Harvey: You’ve done a good job there. Mr Z.R.F. KIRKUP: Thank you, Deputy Leader. I would also like to congratulate the member for Albany on his elevation to the position of Speaker, and all those installed as Acting Speakers. My congratulations also go to our state’s thirtieth Premier and his cabinet and parliamentary team for what was an emphatic victory. I would like to offer my best wishes to all members of this place, who have been elected to the fortieth Parliament. I would like to take the opportunity at the outset to thank the people of the district of Dawesville for their confidence in electing me as their representative. I am incredibly grateful for the opportunity to represent such an amazing community and will work hard to ensure that their confidence in me has not been in vain. For much of the last 30 years of my life, my entire drive, my entire dream, has been to represent the people as a member of this place. Tonight represents the culmination of that long - held dream. Often when hearing about my interest in politics and where I would like to be, many people would ask why it was that someone, especially a young person, would ever want to be a member of Parliament. To me it was always a very simple answer — I have always wanted to serve the people of Western Australia and help contribute to make Western Australia a better state. This evening I intend to outline what it is that I hope to achieve and give a preview of the journey that I have had that led me to this place. I am, in perhaps contrast to the mould of politicians, not one who wants to talk about myself too much. I think it is far better to talk about the issues. However, it is important to acknowledge that I am a very small part of a far larger and more interesting story. I can trace the desire to be a parliamentarian to the front steps of my grandmother’s home in South Fremantle where, during the summer break between years 5 and 6 at Woodlupine Primary School in Forrestfield, I was telling my gran, who sits in the gallery here tonight, that I wanted to grow up and become a marine biologist. As a reasonably chubby child, she told me that I was far too fat for that career choice and would likely get eaten by sharks. As a young boy from a struggling eastern suburbs working family, I quickly resolved that I did not want to get eaten by sharks and instead would like to serve the people of Western Australia as a member of Parliament. When I talk about my family as those who have struggled, I do so fondly. For much of my childhood and adolescence my family never had a lot of money but always worked hard. My mother emigrated to this country at the age of 19, fleeing the household she grew up in which was full of alcohol abuse and domestic violence. She met my father on the Dampier to Wagerup gas pipeline project and then later m oved down to Perth with dad, and has worked at the same pharmacy in Forrestfield for the last 30 years as a retail assistant. My dad, who since the age of three did not have a father, left his home in Dianella at the age of 16 to become an apprentice plumber. He is a striving, continual small business operator, who has worked in earthmoving and civil construction. That work has meant that he has gone on to contribute to resource projects right around WA. My parents have worked incredibly hard to be where they are today, and like many Western Australians, they have been heavily reliant on the buoyancy of our state’s resource industry. When times were good in WA our family flourished. When times were tough, as they are now, our family has sometimes barely managed to keep their heads above water. No matter how much my parents were struggling they always taught me that it was important to care about what was happening in the world around us. I fondly recall my mother, then a member of Greenpeace, teaching me at a very early age about the importance of looking after our environment. At our kitchen table over dinner she would speak about the need for me to protest the French nuclear testing in the Pacific Ocean, or for governments to do more to address pollution. Da d would also ensure that I was well aware of what was happening in domestic politics. He would always ask me before dinner — see previous statement about chubby child — who the Prime Minister, federal Treasurer, state Premier and state Treasurer were before I would be able to eat my dinner. I am immensely proud of both my parents for all that they have done, sometimes unknowingly, in getting me here today. Only in a place full of opportunity like Western Australia could my parents, who have battled their entire lives, build the foundations to send their only son to Parliament. To my parents, thank you for all that you have done. I am incredibly proud of you both and I love you deeply. Together with my mother’s environmental activism and my dad’s interest in the domestic political landscape, I gained an appreciation from a very young age for our nation’s democratic institutions. This appreciation was further refined during my time at Governor Stirling Senior High School. Until it was completely rebuilt by the form er Premier in 2009, Govo was a dilapidated 1950s public high school in Midland. What that old brick and asbestos building lacked in school amenities, though, it made up for in the quality of its teachers and students. I should take this opportunity now to thank my fellow graduates from Govo, who have been with me throughout this entire journey and who join us in the gallery this evening. My thanks in particular to Carl Scarfone, Steven De Rosa, Daniel Murphy and Christopher Mark Baisden and his wife Vanessa Murphy. As students growing up in Midland we were surrounded by near poverty and economic depression. The teachers from Govo were our shining lights to a better future. One in particular left a mark. I would like to take this opportunity this evening to a lso acknowledge the contribution of Mr Tony Granich. Mr Granich is also in the gallery this evening and was my history teacher from 2001 to 2004. He not only taught us about the history of WA, but also gave us hope for our future. Recognising my intense de sire in politics, in 2001 he gave me a copy of Machiavelli’s The Prince and continued to encourage me to follow my dream. Mr Granich, I could not be here without you. Thank you for your contribution and your inspiration. It was during a visit to the Midland Town Hall in 2004 that I decided it would be a great idea to hand a business card to the then Prime Minister, John Howard, which read “Zak R.F. Kirkup, Future PM”. After telling Mr Howard that it would be “pretty soon” until I held the top job, the handing over of that business card became a catalyst for my arrival here today. I was quickly recruited to join the Liberal Party by former state director Paul Everingham, and a year after graduating from Govo I volunteered as an assistant to the Swan Hills campaign, helping out Vince Taskunas, who was the campaign manager at the time. In 2006 while I was going to uni — the first of my family to ever do so — I quickly grew tired of what I saw was a suboptimal use of my time. Without telling my parents, I started volunteering as a junior research officer for the then leader of the WA opposition. 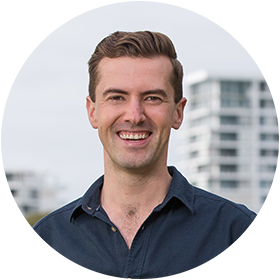 That clandestine volunteer gig, facilitated by Jason Marocchi, brought me to the WA Parliament, and it was then and there that I knew that I wanted to serve the people of Western Australia in this Legislative Assembly. I went on to work for the late Senator Judith Adams, accompanying her to Canberra and also to wheatbelt communities, where we would hold town halls. My time with Judith taught me about the importance of connecting with those you are elected to represent. After a range of tests conducted by the federal secretariat I was then asked to join the WA Liberal Party head office as a campaign officer under Mark Neeham. Our efforts bucked the trend during the 2007 federal election and saw us gain seats when other states lost them and government was handed over to then Prime Minister Kevin Rudd. I then went on to become deputy state director, under Ben Morton, and with a huge effort from many members on this side of the house we went on to secure victory in the 2008 state election. The alignment of all these experiences and election victories saw me offered what I considered to be the most defining career I have ever had until my election to this house. At age 22 I was asked to join the office of the twenty - ninth Premier. I would like to take this opportunity to thank the member for Cottesloe for the opportunities he gave me. I am confident that history will reflect on him as having been one of the most important Premiers to have ever served this state. It will be my lifelong privilege to have worked for the former Premier as one of his advisers and to have stood beside him as one of his candidates. To the member for Cottesloe, thank you for all that you have taught me and, most importantly, for your contribution to this great state. Few would ever understand what it means to work as an advisor to a WA Premier. It is a career that takes all that is given and still expects more. If it is done right, there is no such thing as a work – life balance. The work of a policy adviser absorbs the weekends, and means missing family events and spending incredibly long, sometimes gruelling hours on a single issue. However, the opportunity to help create and implement policy that benefits t his great state is one that I will cherish forever. I greatly enjoyed being a policy adviser, not only out of a deep respect for the member for Cottesloe, but also because I wanted to do everything possible to help him deliver a better government and better state. Of everything that the former Premier has ever given me, none was more important than the opportunity he gave me to find the love of my life. Michelle Gadellaa, who is also in the public gallery tonight, and I both worked for the Premier at the same time in his office and, in the halls of 1 Parliament Place, we fell in love. Michelle, at aged just 27, you have been thrust into the position of being the partner of a parliamentarian — a daunting responsibility that you did not seek out. I am so thankful for all that you have sacrificed, all that you have given, all your support and all your wisdom. I am in constant awe of all that you continue to achieve as a young professional woman. You are faultless, truthful, beautiful and intelligent. I am so proud to call you my better half, and I am blessed to have found you. For the benefit of all in this place, I will save the more emotional indulgences for our wedding in 263 days’ time. However, suffice to say, Michelle, I would not be here if it were not for y ou. Thank you, and I love you greatly. After the 2013 election, and recognising now that I had found the person whom I hope to marry one day, I sought to leave the volatility of politics and gain experience in the private sector. I secured a job with BGC, working for some of the finest men I have ever come across. With the help of Kelvin Ryan and Julian Ambrose, who are in the gallery tonight, I was able to commercialise my skill set and genuinely contribute to a company with a proud heritage in Western Australia. There are many people around Perth — Perthonalities, as they are sometimes called — who could learn much from Kelvin and Julian. These men spent far more time working and helping others than they spent on self - promotion. I would not have stood for preselection without either of them. They are both titans of Western Australia, and I am proud to call them my friends. The sobering reality is that my time in BGC never really quenched my unrelenting desire to enter politics. I loved working at BGC, but I loved the idea of working for the people of Dawesville that much more. I was encouraged by a number of people in the gallery here this evening to seek preselection. I should take this opportunity to specifically thank the team known only as ICQ. To Samuel Calabrese, Ben Allen and Tom White, thank you for your encouragement; you are all far better men than I could ever hope to be. After my preselection, the 2017 Dawesville campaign committee was formed, and we undertook an exhaustive effort to win a seat that, in the 23 years since it was created, has only ever been held by two Liberals, in Arthur Marshall and Dr Kim Hames. They are two men who have given me great counsel since preselection, and I thank them both for their contribution. As evidenced by my presence here today, we went on to hold Dawesville in what was the most difficult electoral circumstance in the history of our party. I am incredibly thankful to the more than 230 people who volunteered and gave their time or money or both to our campaign. In particular, I thank those who served on my campaign committee and join me in the gallery this evening: Amanda Burton, Linda Christie, Glenda Cooper, Robert Cooper, Kim Hames, Cory Harding, Tony Iannello, Ron Taggart, Gaynar Sanders and Phil Vergone. My thank s also go to state director Andrew Cox and deputy director Samuel Calabrese and their team for their contributions to my election. Locally, we worked hard to ensure that we met and spoke with as many people as possible. We did not take the district of Dawesville for granted. We listened to the concerns of our community and worked hard to raise, on their behalf, issues that they had raised with us. I wanted to ensure that people knew that how hard I campaigned would be how hard I would work if I were elected as the member of Parliament. I again thank the people of the district of Dawesville for their support, and in particular those who shared their experiences and issues with me during the campaign. I am proud of Mandurah and the Peel region. Our unique and beautiful environment is exceeded only by the generosity, strength and warmth of our community. Too often we focus on the many challenges our town faces, and it absolutely has its fair share, but there is a much deeper story to Mandurah. It is a story of people who stand up, volunteer, help each other out, and smile and still say hi when they are out walking on a Sunday morning. It is a story in which people face those challenges head on, and I am proud to have their backs. I am thankful that I am not alone in this respect. In Mandurah, there are actually two representatives in this place that look after our community and more often than not they have been from opposing political parties. As a result, the members for Dawesville and Mandurah have a historic and established special relationship that I do not believe is replicated elsewhere in WA. Indeed, the former member for Dawesville, Arthur Marshall, told me that, between these two members, there would always be a master and an apprentice. By virtue of his age, experience, service and what appears to be partially thinning hair, I suspect I am indeed now that apprentice, and it is a pleasure to be so to such a good man. Leader of the House, thank you for your guidance, counsel and support up to and since my e lection to this place. I look forward to continuing to work with you for many years to come. As I look to those many years to come I think it is important to also reflect on the history of this Parliament. It is worth noting that we are standing in the very place that voted in favour of a series of oppressive and draconian pieces of legislation that sought to restrict and oppress the rights of all Aboriginal people, which has also included members of my own family. In 1904 Thomas Kirkup was forbidden by the Geraldton magistrate to marry his fiancée because he didn’t have the consent of the Chief Protector of Aborigines. As a result of measures passed in this house, Aboriginal people could not marry freely, because it was the view of this chamber that they should try to “breed out the colour” of Aboriginal Australians. My grandfather, Brian, was born in 1941, an Aboriginal man from the midwest, and as a result of decisions made in this place, for much of his life he was unable to own property freely, to move freely, to own a business freely or to marry freely. When my father Robert was born in 1962, his Aboriginality meant that he would not have been counted as an Australian in the national census held four years after his birth. My family history is not unique. For centuries of European settlement, Aboriginal people have been discriminated against, segregated and oppressed because of decisions made where I stand today. I do not mention this to be controversial. We should never forget the past. However, I believe we are all far better served, in the spirit of meaningful reconciliation, by coming together as Western Australians. Recently, an unfortunate hostility has engulfed members of the community. There are those wh o seek to redefine many of the events and principles we consider important to our national identity. They suggest we should change the date of Australia Day, or have a separate national anthem. We should not allow the discourse in our community to be exploited by those wishing to perpetuate the pains of our past for their own ideological gain. Instead we should celebrate the opportunities to continue to work together, in partnership, to build a better state. The recognition of my family’s history will continue to remind me that our place in this Parliament is to forever guard against the infringement of personal rights and freedoms that have been granted to us by God. In all decisions we make in this Parliament, we must now not allow ourselves to be dictated to out of fear for the direction of contemporary commentary of the day. Instead, we must adopt a long - term view to always represent, protect and serve all Western Australia ns no matter their race, religion, gender or sexuality. In the adoption of that longer term view, I would like to outline what I see as two challenges that confront our state over the coming years to which I believe this Parliament should take action to address. We all know that Western Australia ’s prosperity has been dominated by the agriculture and resources industry. In a globally competitive environment, though, I fear these two industries alone will not maintain our state’s economic dominance. In order for WA to continue to go from strength to strength, we must continue to diversify our economic base. With that in mind, I put to this place that we need to enable our state to become a world leader in embracing new technologies. As at 2017, the global economy is edging ever forward towards the commercialisation of a range of new, disruptive technologies that will prove ever - challenging for governments to address. Emerging technologies like artificial intelligence, autonomous vehicles, diversified energy generation and storage, genetic engineering, memory technology and quantum computing are just some of the areas that we know will have a substantial impact on western societies once commercialised. Sadly, though, for all of Western Australia ’s entrepreneurial spirit, governments past and present have not accommodated those emerging industries and ideas as much as I hoped we would. We cannot expect to be competitive and leaders in the Asia – Pacific region if we still debate whether or not basic concepts like Uber and Airbnb have a place in our society. As the youngest member of this chamber and, indeed, of the Liberal Party, I hope to frame the discussion that we should embrace, not reject, these emerging technologies. Our state needs to have openness towards these new and disruptive ideas. This Parliament should seek to introduce a flexible legislative environment to allow these technological advances to take hold and to flourish right here in WA. Like every new technology, they will present challenges to the nature of our society but I am certain that with typical Western Australian zeal, we will overcome them and, in so doing, we will build an even better state and continue our dominance in the Asia – Pacific. In the theme of continuing to help build an even better state, I wish to raise the only other issue that I believe this Parliament should address as a matter of urgency — that is, the equality of the GST. Already touched on this evening by my friend the member for Hillarys, we all know that WA does not receive its fair share for what it contributes to the Federation. Every sandgroper in W A knows that the GST system is fundamentally broken insofar as our state is concerned. For too long this broken system seeks to compensate mendicant, backward states like Tasmania for turning their lonely island, to quote the twenty - ninth Premier, into a national park. For too long, this broken system punishes WA for its success. For too long, all members of this place have fought hard with little or no change within the Federation. I have a message for my federal parliamentary colleagues this evening: West ern Australia ns are sick and tired of the enshrined inequity that is the GST. We are sick and tired of continuing to contribute so much to this nation and receiving so little in return. We are sick and tired of supporting a Federation that is culturally, societally and, importantly, financially predisposed towards supporting the eastern states. Western Australia ns are fed up that for far too long we have operated within the bounds of procedures, agreements and convention. They do not care how they get it do ne; the people of this state want this issue resolved soon. That is why, if Western Australia is to continue to be the great state that I know it to be, we need to exercise far more financial and intergovernmental independence than we currently do in order to force a change. So long as this inequity continues, I urge this place to commence a responsible, considered and staged withdrawal of the majority of the intergovernmental agreements in which WA is a participant and move towards greater financial independence. Where it can, where there is no negative impact to our national security or provision of vital services, the Western Australia n government should start to rid itself of this cooperation with Canberra if the inequity continues. These may seem like drastic measures but we are not elected here to uphold unfair agreements made in the meeting rooms of Parliament House in Canberra. We are here to listen and take action on behalf of those who elected us, and they are crying out for more action to be taken. We must not continue to sacrifice our state’s future in order to provide an even greater future and greater fortune to states like South Australia and Tasmania. This Parliament needs to do all it can to rally against the notion that WA should continue to lick the boot that kicks us. For my part in this place here, I will do all I can to try to restore that equality or help move us closer to intergovernmental and financial independence. We need to stand up for WA and we need to get our fair share which will, in turn, ensure that our state government is well resourced to help continue to build an even better WA. Our Parliament should embrace new concepts and technologies while ensuring that we protect the personal freedoms of our citizens. We should ensure that our historic economic contributors continue to earn us our fair share of the GST. I am blessed today that my lifelong dream has come true. I have the honour of representing the citizens of the district of Dawesville and serving the state of Western Australia, whose citizens represent the fabric of the greatest state in the greatest nation on earth. The people of WA deserve representatives and a government that listens to them and acts on their behalf. We in this place should never forget that we are here to serve them first and foremost. I again thank the people of the district of Dawesville for their votes and their confidence. I will do all I can to ensure that as your elected representative, I will work hard for you and work hard with everyone in this place to help make WA an even better state.